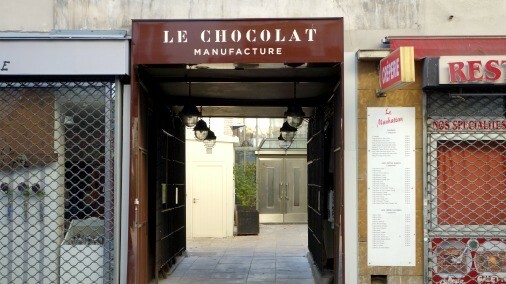 In the heart of Paris a culinary giant is taking full control of his chocolate with bean to bar production. 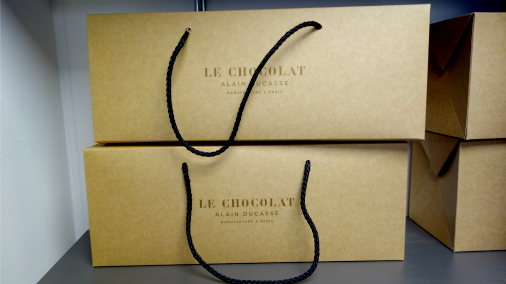 Entering into Le Chocolat-Manufacture de Alain Ducasse is to enter into a very special world indeed. 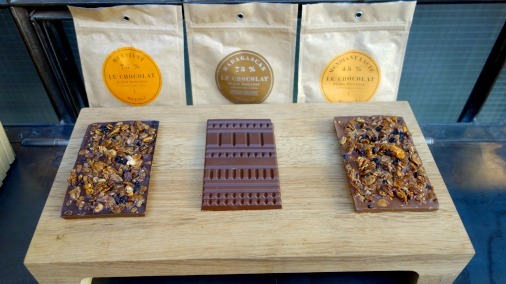 A bean to bar chocolate maker in central Paris, where sacks of beans, their roasting, winnowing, conch, tempering and subsequent creation into a sublime range of bars, pralines and filled chocolates, is all on site. It is topped off by a boutique where the public can come and buy. Alain Ducasse’s many restaurants are supplied, as are the chocolates for his new restoration of the grand hotel La Meurice. Selling direct to the public is proving so popular that there is also now a concession within the Galeries Lafayette Maison. 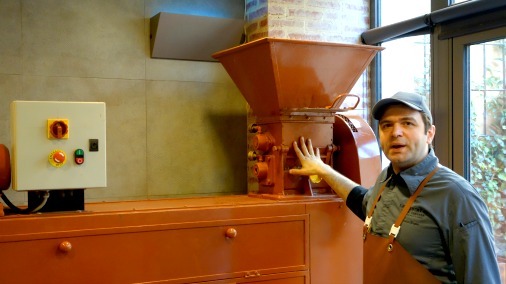 Nicolas Berger introduces me to the first of his precious machines, the roast. The site on the Rue de la Roquette is a symphony of industrial chic. Pared back metal and wood showcases display chocoaltes of the simplest unadorned beauty, no colours or extraneous decorative flourishes here. The lights are large metal domes, the packaging is crisp uniform brown paper and cardboard, the simplest of materials somehow manage to be the ultimate in luxury. 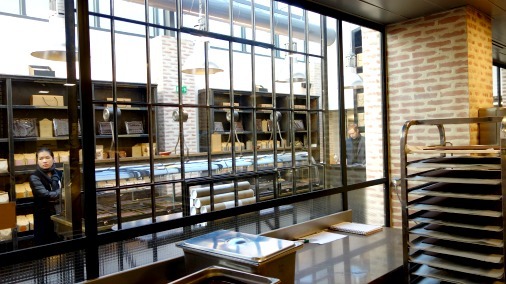 The right hand wall of the boutique is glass, looking onto the manufacture itself, a well-oiled workshop of friendly looking machines and quietly diligent chocolatiers. This is a very stylish outfit. But this is not merely style, style and substance are interwoven. What substance! 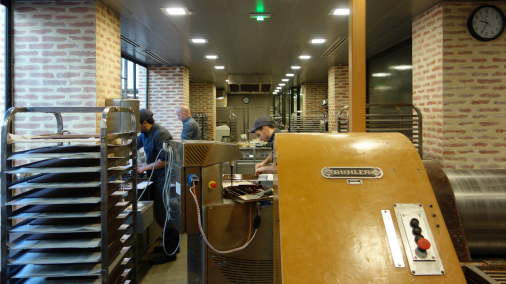 It is the content of those neat brown boxes that makes this place one of the most exciting new places for chocolate in France. 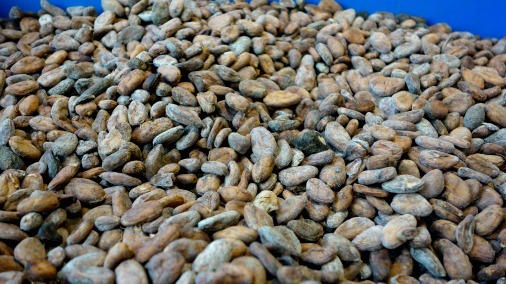 The essential ingredient, cocoa beans. 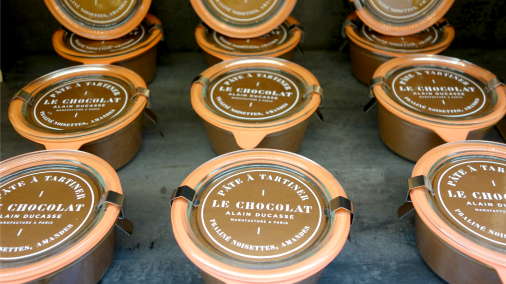 The brainchild of Alain Ducasse, whose lifelong love of chocolate is finally given full vent here, Le Chocolat is in the highly capable and talented hands of Nicolas Berger, whom you could call chief chocolate maker. During my visit, when he was kind enough to grant me an interview and give me a tour and tasting, he carried with him a timer and kept popping backwards or forwards to tend to his beloved beans, at whatever stage they were at. A patissier by training, who found himself spending most of his time with chocolate, he is well aware that the devil is in the detail. The precision of his roast stops for no man, certainly not me. And I was more than happy to go along for the ride for my little time there, able to view, smell and witness the making of fine chocolate in process. M Berger pours chocolate liquor for further refinement. Our tour started in a room neatly lined with sacks of beans. Labelled with their stamps of origin, representing most of the fine cacao growing countires of the world, they were a wonder of potential. Next to them was the roasting machine, which I dubbed ‘the train’ as it bore such a striking resemblance to a diminutive early locomotive. A delightful beast, it takes 50 kilos of beans, for about 30 minutes, at 120 degrees, before they are released and gently turned as they cool, a perfect beginning to their journey here. Equally intriguing machines follow, for winnowing, for grinding into liquor, for refining the liquor, for a first mixing with sugar, then refining as many times as M Berger defines necessary, and then the conch. This cream enamel machine, once M. Berger has lifted the lid for me, reveals a vast metal bowl, with conical grinders. The chocolate is here treated with precise strength, moved in an elegant circle, in and out of a gentle refinement for about 15 hours, the length of time that will take it the final step from bean full of potential to finished glorious taste. 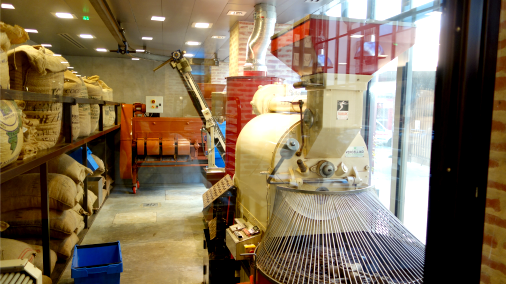 A view of La Manufacture including train-like roaster and sacks of cacao. After this the chocolate, untempered, is generally cooled in massive blocks and stored at the ideal temperature, until it is needed for chocolates, or to send as couverture to one of Ducasse’s lucky pastry chefs. 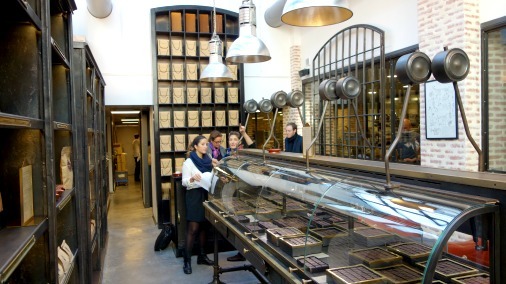 The workshop where the chocolate begins to be turned into chocolates. Nicolas Berger clearly has his eye on the ball, but he is a warm and welcoming host, showing me around with evident pleasure and passion for this remarkable place. Only open since February 2013 it rapidly developed a fearsome reputation and has garnered reams of press. 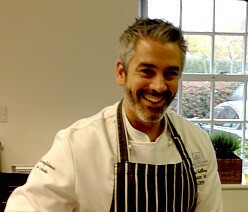 The man at the helm is a calm and humble presence, and the whole place is a pleasure to visit. If I wasn’t getting in their way I could have stayed all day, breathing in the varied aromas of roasting beans, ganache production, and caramelised hazelnuts. The view of the shop from the Manufacture. The focus of M Berger is clear, and clearly stated, to source fine beans and give them the maximum respect, to do all in his power to ensure that the nature of each bean is present in the finished products. 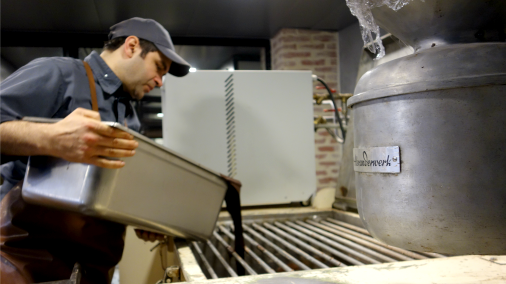 He states that his biggest challenge and greatest discovery in the project, which had been in the planning for many years, has been learning about the transformation of each bean into a chocolate that does it justice. He says that this has him learning every day. His chocolates are phenomenal, and yet he is ever self deprecating about his aims. I would say that this is perhaps a mark of the most truly creative, the realistic acknowledegemtn of all there is to learn, the aim for the stars, and the constant self drive. When I asked about plans for the future M. Berger says that his aims are twofold, to work more closely with countries and plantations of origin, to understand and do justice to them, to communicate with them and to communicate what they are. He also wishes to bring production of the remaining small percentage of inclusions that they buy, in house. That way he feels that while they will not be perfect they will be his imperfection. That way he will have full control of all the materials, ingredients and tastes that he works with, it will therefore be Le Chocolat’s own imperfection and therefore its perfection. There is blissful work with nuts going on about me. The result of this focused and personal vision by Ducasse and Berger is a production of something exceptionally pure, clean and focused. The chocolate, in the true sense, is the star. 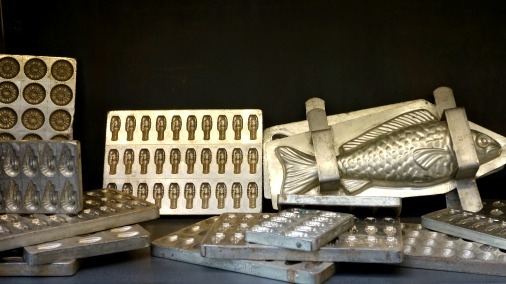 The industrial chic of the shop. 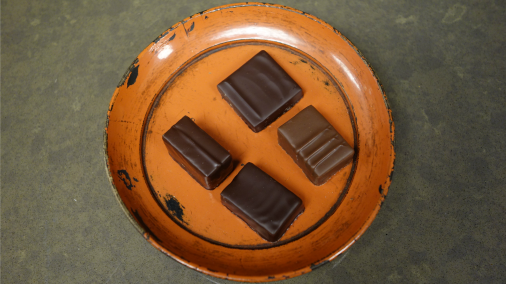 For my tasting I chose a small selection of the filled chocolates, which divide into three types, the pure origin ganaches, the pralines, and the flavoured ganaches. 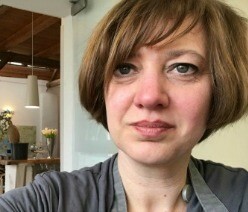 Lait Amande Eclats is a perfect almond chocolate. With feuillantine for a croquante texture, it is deeply caramelised and rich in toasted biscuity flavour. Like much of Berger’s work it is barely sweet, and exceptionally good. Utilitarian beauty in the shop displays. Noir Amande Eclats is much like its lighter sister, but with more evident cocoa depth. Its flavours and texture reminded me of the ultimate possible version of a dark chocolate digestive. In a very good way. Multi Michelin starred pate a tartiner. Cacahuète is truly bliss. A centre of finely ground and deeply caramelised nuts enrobed in dark chocolate. 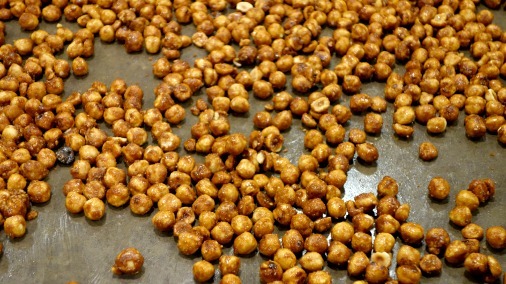 This evoked for me the sugar toasted peanuts of my childhood from the beaches of Southern France. The chocolate and nuts in these pieces are a whisper away from over-roasted, there is a refined bravery in their handling and they are all the better for that depth. Seriously tempting fruit and nut! Pistache Eclats combines more excellent nuts and chocolate. The chocolate is smoky, dark and lit up by the green glory of bits of intense, almost savoury pistachio. Finally Lait Noisette Eclats is another example of what appears to me a hugely successful signature style. A well made chocolate, with a darkly roasted quality and clear fruit notes, is perfectly combined with nuts and in this case shards of caramel, to create a lovely little masterclass in deep flavours and mouth-pleasing texture. The Parisian ‘it’ bag of choice. NB. 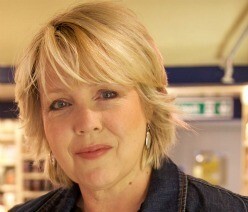 A version of this article first appeared on Girl’s Guide to Paris.